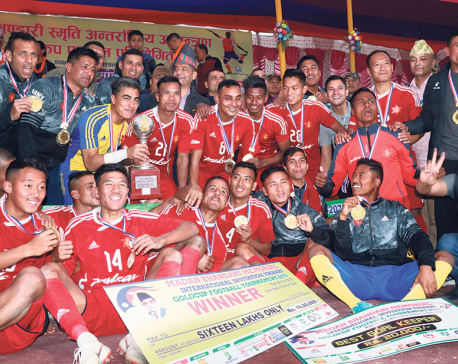 ITAHARI, Jan 31: Departmental team Tribhuvan Army Club has advanced into the final of the ongoing second Madan Bhandari Memorial International Invitational Gold Cup Football Tournament with an empathic 4-1 win over Mechi Netralaya Kakarbhitta Training Center in Itahari on Wednesday. 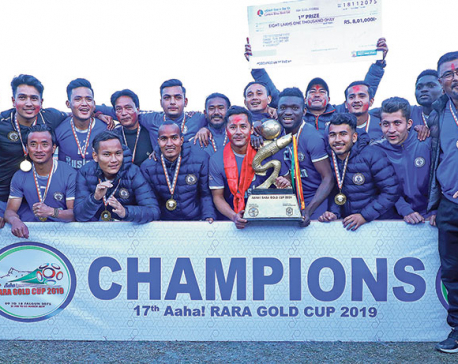 Army will now take on the winner of the other departmental team and A-Division League champion Manang Marshyangdi Club, scheduled to take place on Thursday. The final will be played on Saturday. 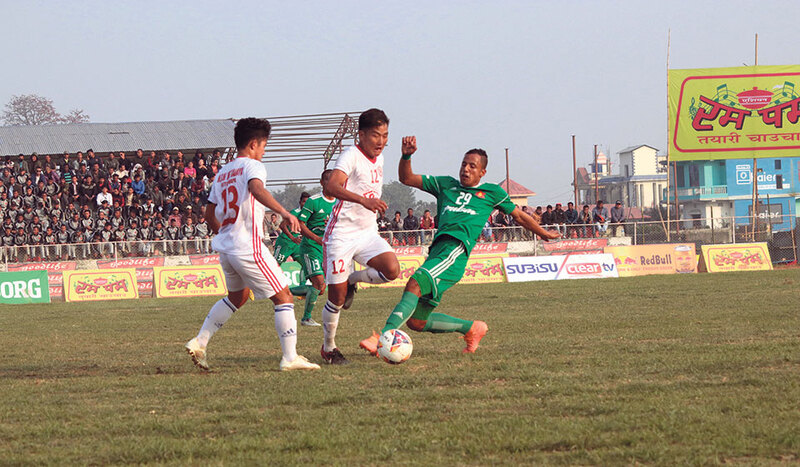 In the first semifinal match played at the Itahari Stadium, Army dominated the game from the beginning. It took the lead in the 10th minute as the opponent’s Olu Sola gave a back pass to his keeper, and the ball went in as the keeper could not judge the pass. Army doubled its lead through Santosh Tamang as he hit a strong shot from inside the box in the first minute of the first half injury time. 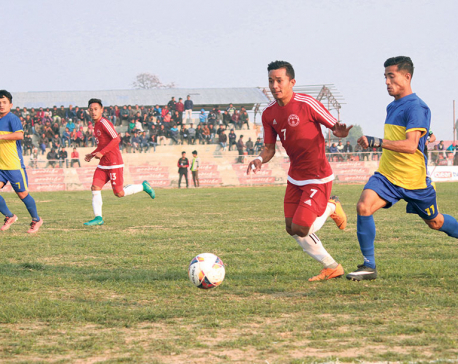 Bibek Basnet made the score 3-0 for Army as he scored a solo goal in the 59th minjte, while Kakarbhitta pulled one back just a minute after through Khamir Gilson Kandongba as he converted from a Dipesh Shrestha pass. Captain Bharat Khawas sealed the game for Army scoring in the last minute of the injury time. Tamang was named the man of the match and was rewarded with Rs 10,000. Army head coach Nabin Neupane said that his team was able to win the game easily as the players showed team work and converted the chances. “Even though the players did not play as the tactics I had set, we managed to win the game easily,” Neupane boasted. Kakarbhitta coach Nabin Bahadur Basnet said that the coordination between the players was not there because the players came from different places and they had to lose the game embarrassingly. “Army has a fixed and full team. We brought the players from different places. We conceded earlier in the game and that cost us. We did not have the midfielder who would control the game,’’ Basnet moaned.